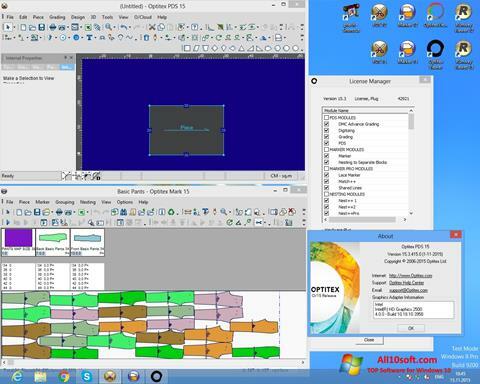 OptiTex for Windows 10 - CAD system for creating products of light industry. The application allows you to set patterns using contour images from third-party editors. Includes tools for generating patterns for designing clothes, supports copying models with the introduction of individual parameters of growth and size. Able to work with virtual dummies, allows you to try on products, taking into account contiguous elements, contains a dynamic visualization module. The utility provides an optimal layout of the patterns, includes tools for dimensioning and the formation of flow charts. You can free download OptiTex official latest version for Windows 10 in English.